It’s 3:00 am in the morning as I’m writing this. I started back to work at the Stephen F. Austin State University Pineywoods Native Plant Center on September 1, causing my sleeping habits to go from bad to worse. Unfortunately, working half time got me used to my 3 hour afternoon summer siesta naps every other day and on the weekends. I’ve always been an early riser but this is a bit ridiculous. However, my grandfather was an early riser and my dad and early riser. As a child, the second I would hear my dad turn on the early morning farm and ranch show with the legendary Horace McQueen out of Tyler, I’d pop up and go watch. I guess that’s one reason I don’t have a television. It would be in the other room plotting how and when to wake me. It’s not just televisions, but any morning noise that does the trick. The very first bird that sings (including the occasional night-owl mockingbird) wakes me as well. In my wildest dreams I’d wake to a rising sun. I’m usually tired by the time the sun catches up to me! As a farmer at heart, I guess I should really go to bed the second the sun goes down as I’m generally sleepy then anyway. It only makes sense to work when the sun is up and sleep when it isn’t. One of the plants in our sale is one that friend Linda Gay asked me to write about. It’s the Henry Duelberg sage. A number of years ago I was actively seeking selections of native Texas mealy cup sage (Salvia farinacea) as I’ve never been happy with those that international seed companies sell. Don’t get me wrong, they are beautiful, but unfortunately they were developed and trialed in the mild climates of Europe, coastal California, and the northern U.S. It’s always been ironic that this species originally came from arid the Hill Country of Texas but most commercially available cultivars don’t perform well during the summer there. They were mostly developed as annual bedding plants for climates with eternal springs. Of course we know that spring in Texas can last anywhere from two minutes to two weeks. So one year while attending Dr. Welch’s Oktober Gartenfest in Windedale, I stopped off at a rural cemetery north of LaGrange to see what cool plants Perpetual Care herbicides and string trimmers had spared. And there in the middle of a grass killing drought was the grave of Henry and Augusta Duelberg covered with an interesting salvia that didn’t even resemble native populations. It had mostly been “weed-eaten” back but I noticed that it had seeded itself into the cracks in the curbing, the dead grass, and onto nearby graves so I knew it was a survivor. When I made it back home to San Antonio with a few cuttings, it turned out most were blue-purple but one was white. The leaves were also larger, more toothed, greener, and fruitier smelling than the typical Hill Country populations. Of course they both turned out to be excellent garden performers and continue to toss out both blue and white seedlings to this day. I have this theory that one of them was a closet salvia breeder and when they died, their current project was planted on their grave. 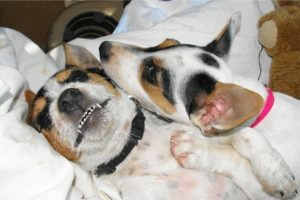 Since I couldn’t be sure that Henry was the horticulturist in the pair, I named the white one after his wife just in case. 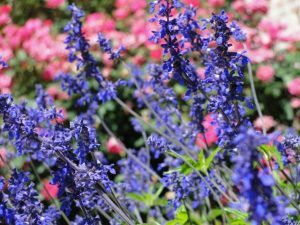 Of course like all perennial salvias they like to be sheared regularly to keep them dense and full of blooms. I usually give them a fertilization in the spring and fall as well so they’ll be lush and showy. The native bumble bees constantly thank me. 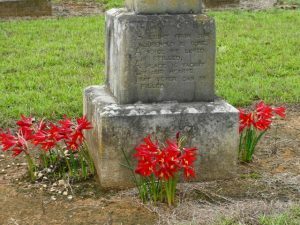 My oxblood lilies finally got enough rain to make a show in Arcadia and reminded me that I’d planted them around the graves of all my direct relatives in the two local cemeteries. Now the spider lilies are in full bloom. 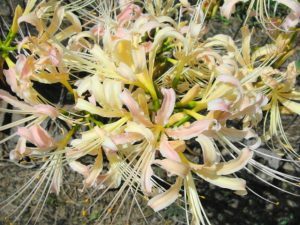 I grow about thirty different kinds of Lycoris including all shades of red, pink, white, and yellow. These stalwart but delicate beauties always let us know that cooler temps and moisture are knocking at the door. I hope to get my fall garden planted in the next few weeks and will include turnips, mustard, broccoli, cabbage, kale, multiplying onions (for my dad) along with spinach and snow peas that I’ve already planted. 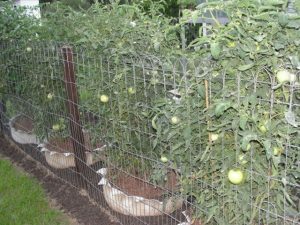 My Tycoon fall tomatoes from friend Dr. Parsons are already producing keeping my truck farmer status still alive with my parents. They always thought that’s what I’d turn out to be. Acer and Ilex are as active as electric squirrels and as mean as little vipers. Well, Ilex is anyway. My mom loves Acer the best, leaving me with the little saw-toothed heathen to love on.